What happens when a workers’ comp claim has been denied? Can they withhold your benefits? At Gallardo Law Firm we can handle your denied claim and use our knowledge of workers’ comp laws to obtain workers’ compensation benefits that you may be qualified for. It doesn’t matter how challenging your case or situation may be; our attorneys are here to help you. A worker’s compensation claim can be denied by the insurance company. Perhaps the doctor says the injury was a pre-existing condition or was not caused by the workplace accident. The employer may also argue that such injuries didn’t occur during your time employed by the company. Some companies may even claim you have never worked for them. Other reasons such as not filing during the required timeframe and failed drug tests are also typical. 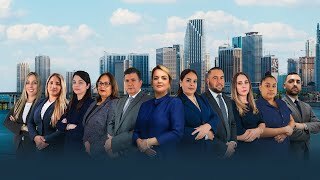 Miami attorneys at Gallardo Law Firm can walk you through the whole process and challenge your claim, explain the reasons why your request was denied and guide you through the required legal steps. Insurance companies will often deny your claim due to allegations of fraud. They are experts at discovering false workers’ comp claims. In some instances, they may go as far as hiring a private investigator to assist them with your claim. If they get you doing anything that proves you are not severely injured, your request for compensation can be denied. Although these cases can be quite challenging, our attorneys can help you fight any false accusations made against you. The claim is first filled in court, and if it’s denied, we proceed to mediation. During mediation, information is exchanged, and the case may be settled. Some cases may not settle right away, and we may have to take them to trial, where we will argue on your behalf in front of the judge. Evidence will be presented accordingly, and witnesses will testify as required. The judge will eventually decide on the validity of your claim but this is not an easy decision to make since some benefits will be withheld from you and others may be granted. We are committed to your case and will help you receive all the benefits you are legally entitled to receive.